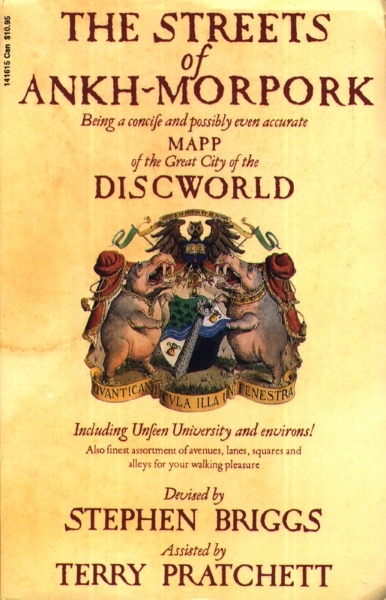 The city celebrated in the bestselling Discworld series by Terry Pratchett has been meticulously mapped for the first time. It's all here - from Unseen University to the Shades, from major landmarks like the Patrician's Palace to little-known, er, nooks like the Dwarf Bread Museum in Whirligig Alley. See the famous streets along which so many heroes have walked, in some cases quite hurriedly!